Expansion of primary production in early 20th century Australia was so rapid that supply far exceeded the needs of the domestic population. 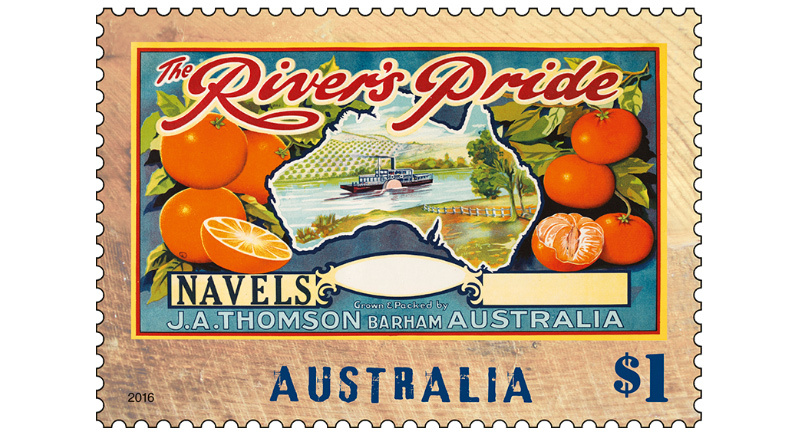 Australia became a major food exporter, particularly to Britain until well after World War II. Early means of identifying fruit for market was by stenciling wooden fruit cases, using metal stencils brushed with black paint. 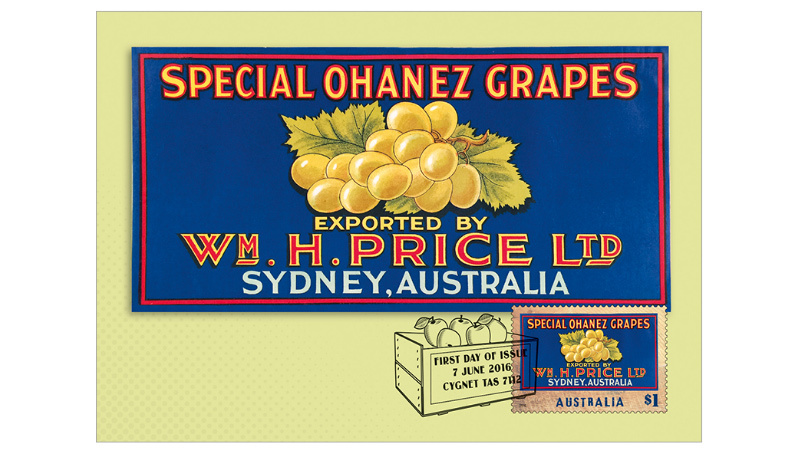 Details included the grower’s name as well as the type, size and grade of fruit. 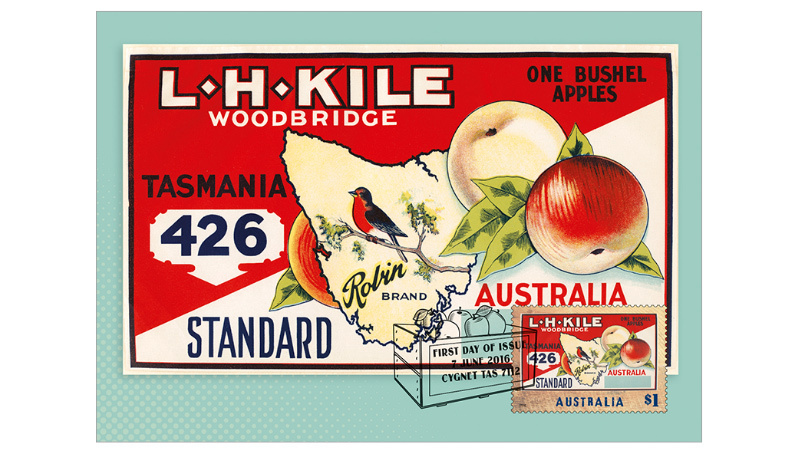 But as Australia’s fruit export industry expanded, so did the need for marketing of the fruit. 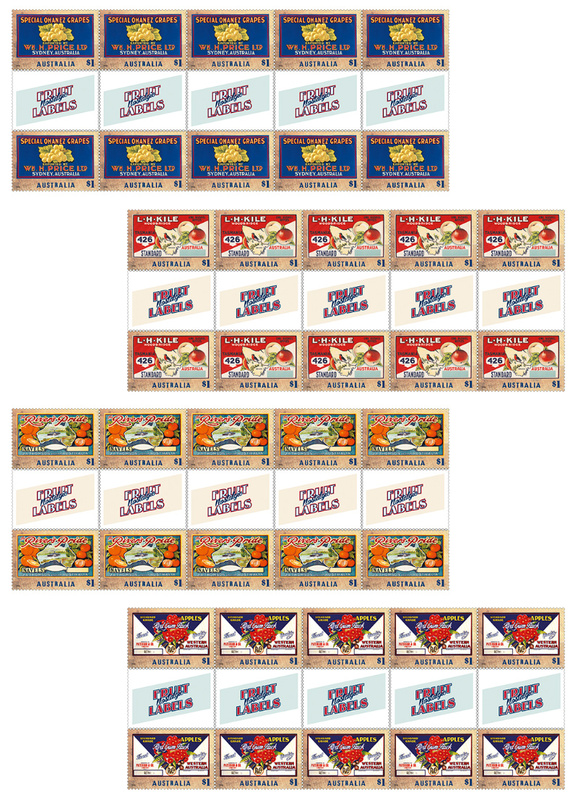 While some continued with the use of stenciling only, others chose to add paper labels to promote their “brand”. 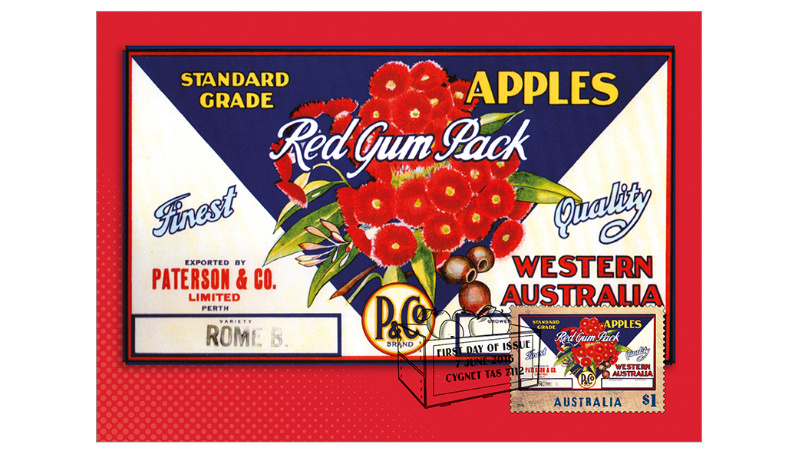 Paper labels, pasted onto the end of wooden cases, formed part of the fruit industry landscape between the 1920s and 1970s, before the widespread use of cardboard cartons. 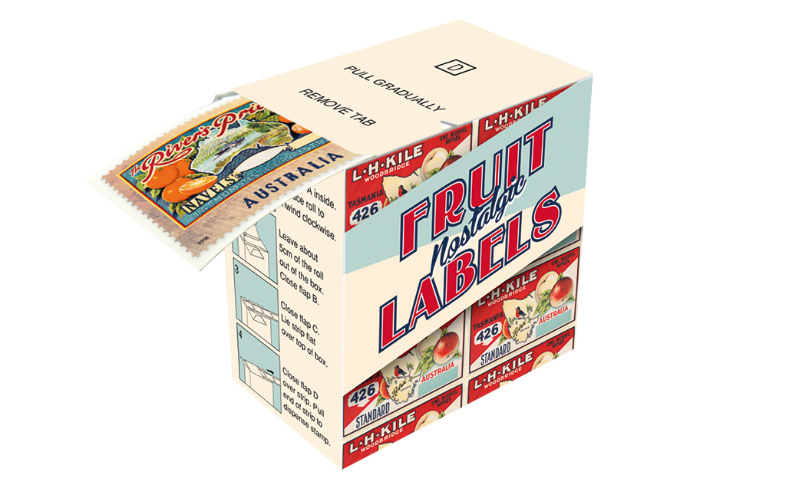 There were local market labels, grower labels and more, but the most colourful were the labels used for export. 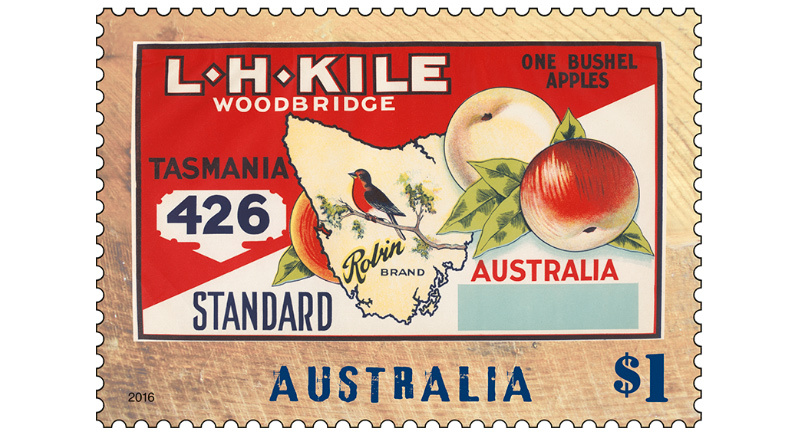 And while labels were used for various types of fruit, apple labels from the “apple isle” Tasmania were by far the most numerous. 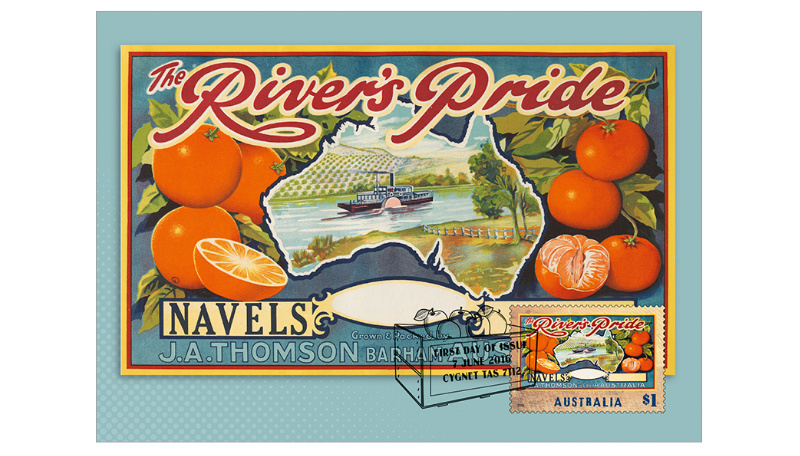 In addition to the State Library of Tasmania, one of the largest public collections of fruit labels is part of the Troedel Printing Archive in the State Library of Victoria. The sample books of lithographic printing firm Troedel and Cooper contain an amazing array of colourful designs. 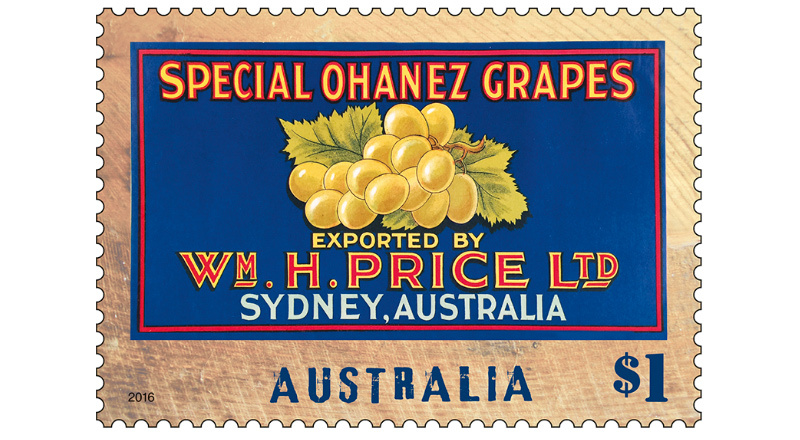 Three of the labels featured in this stamp issue are from that collection. 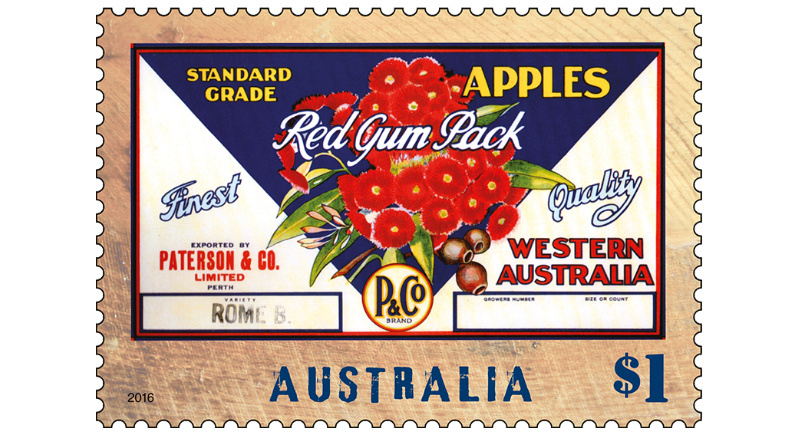 The fourth is the Western Australian label for Paterson & Co., one of the largest shippers of apples and pears in the west from the labels era. 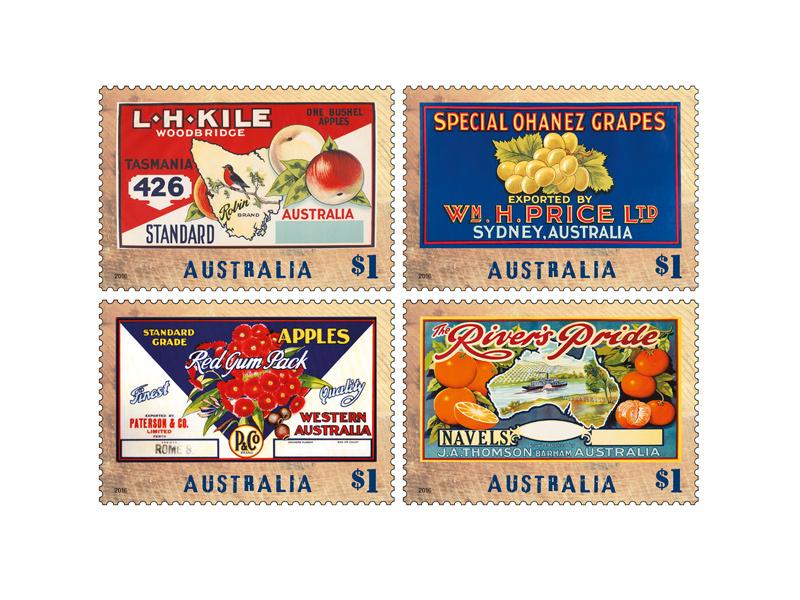 The strip of self-adhesive stamps contains one of each of the four self-adhesive stamps form the roll of 100 available with the Nostalgic Fruit Labels stamps issue.